av jke , Wisconsin US, fredag 30. juni 2017, kl. 17:29 (665 dager siden) @ Øyvind F.
Hello all fine black powder shooters. 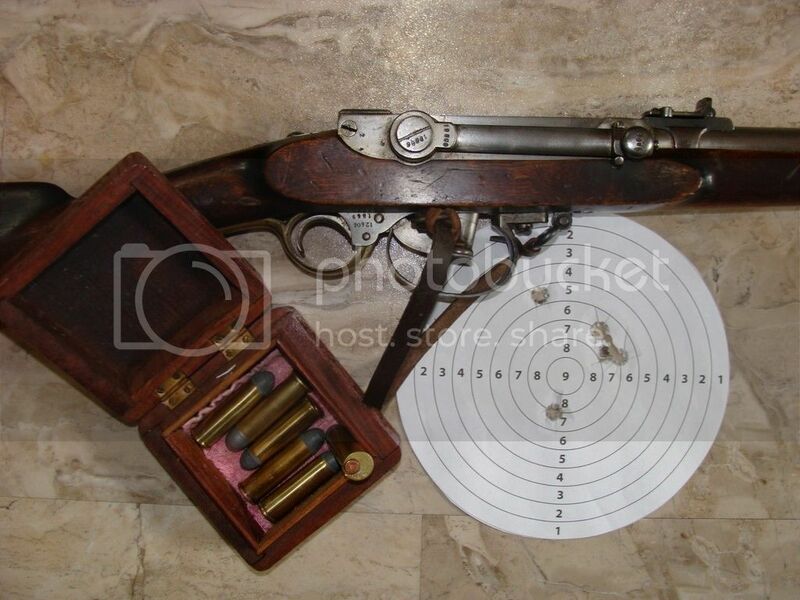 This is the only Kammerlader in my collection that I have shot and then I only shoot about 6 shots every 5 years, so it does not get much use at all. It is a M60/67 Short Lund conversion still in the original rimfire chambering. 450 gr. soft lead bullet with a reduced charge of 50 gr. Swiss #2 with cereal filler and a cotton wad.